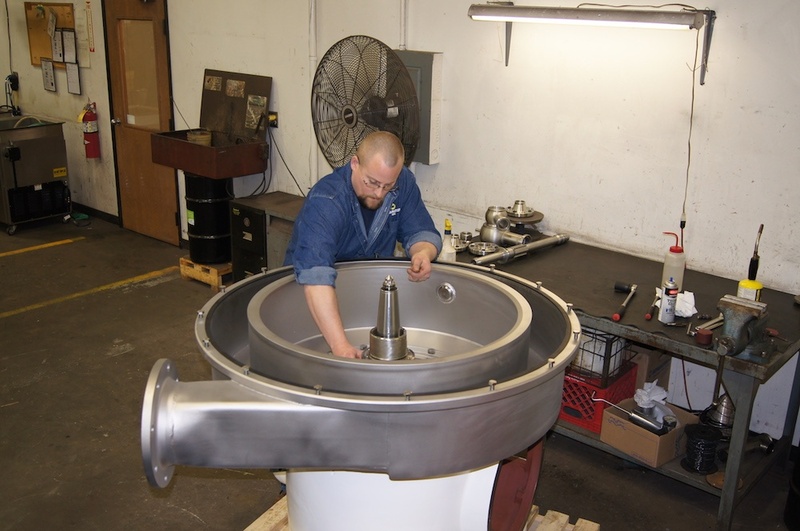 When it comes to maintaining industrial centrifuges, the effort you put in really does come back to you tenfold. Centrifuges are large, powerful machines, and they do what they do exceptionally well. With the right amount of attention paid to maintaining these machines, centrifuges can provide decades of consistent and reliable performance. But if you’re talking about industrial centrifuges that don’t receive the maintenance they require, the performance of those machines will degrade at a quickened pace. Let’s take a look at industrial centrifuge maintenance. Centrifuge maintenance is almost always split into two camps: minor service and major service, which I’ll go into more detail on in a moment. First, let’s talk about maintenance in general. Any piece of equipment is going to require occasional attention in order to maintain performance or correct minor issues. Centrifuges, like other pieces of heavy equipment, have wear parts that need to be replaced from time to time. They also benefit from having a skilled and experienced technician who specifically understands centrifuges and looks over the equipment to ensure nothing is missed. With enough experience performing industrial centrifuge maintenance, small issues are easy to spot long before they become large problems. With that said, let’s move on to the different types of service. Minor service, also referred to as top end service, involves maintaining the top end of an industrial centrifuge. Minor service begins with a full disassembly of the bowl and inspections of the centripetal pumps and the disk stack. The discs are cleaned by hand, checked for cracks, missing caulk, or other defects. As the bowl is inspected, we also look at the pistons and other wear parts for degradation, and we go through the whole machine to look for pittings and signs of corrosion from CIP (clean in place) chemicals. After tearing down the full disc stack and completely removing it from the distributor, we regasket the bowl with all new gaskets. How quickly a minor service visit takes depends a lot on whether or not current CIP procedures are effective. If the machine is not receiving proper cleaning, we always notify the customer. Sometimes, they need to lengthen their pre-soak time or their caustic wash cycle in order to do proper CIP. Although the base recommendation for how often a minor service should take place is every six months, the actual time between services depends on the hours of production. Facilities that run 24/7 will require minor service more often than those that run on one or two shifts. Major service, also referred to as an annual, include everything that goes into a minor service as well as additional services. Once the top end of the machine is complete, we focus on the lower end. This includes replacing any and all of the major wear parts: gaskets, bearings, seals, etc. Depending on the type of drive (we routinely work on gear drive, flat belt drive, and integrated direct drive machines), we provide whatever maintenance the machine requires. At the completion of inspections, component replacements, and cleaning, we start the machines up for calibrating. For calibration, we run water through the centrifuge, check the amount of discharge and any volume metrics to ensure everything is functioning properly. This includes looking for leaks. With Westfalia or Alfa Laval centrifuges, we also calibrate them on product. When we walk away from performing a major service on a machine, we’re sure it’s working as it should. The effort that goes into maintaining centrifuges becomes obvious in each machine’s performance. It’s not uncommon for facilities to handle minor service needs in-house and call in an outside provider like us for majors. One thing that’s important to understand is that if the people performing minor service don’t have an eye for centrifuges, some key safety things tend to get missed. Not knowing how to spot the early stages of corrosion, erosion, wear, and damage on the bowls can cause a bowl to deteriorate long before it should. There are always pros and cons to any facility decision, but skimping on proper centrifuge maintenance can turn out to be a costly decision in the long run. And for facilities who do handle minor services in-house, I strongly recommend partnering with an experienced centrifuge service provider for your annuals.